1. Tone of the organisation. Tone at the top is not enough, DeLoach said. He said the tone at the middle and bottom of organisations – as established by middle managers instructing their employees – must be aligned with the tone at the top. “A proper tone of the organisation sets a strong risk culture, which is foundational to the other lines of defence,” DeLoach said. 2. Primary risk owners. These include business owners and process leaders whose activities create risk. DeLoach said they need to take ownership in managing and mitigating risk. 3. 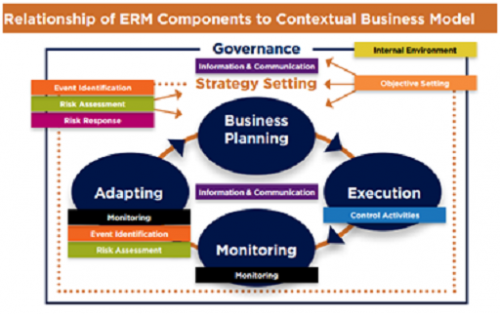 Independent risk-management and compliance management functions. The titles of these functions vary across organisations, but DeLoach said their duties are to create a framework for identifying, measuring, evaluating and monitoring risk, and to ensure that the framework is applied across the organisation in a robust manner. 4. Assurance functions. This role is typically filled by internal audit, DeLoach said. 5. Escalation process. This involves reporting of status, progress and problems all the way up to executive management and the board of directors. “They are the last line of defence,” DeLoach said."